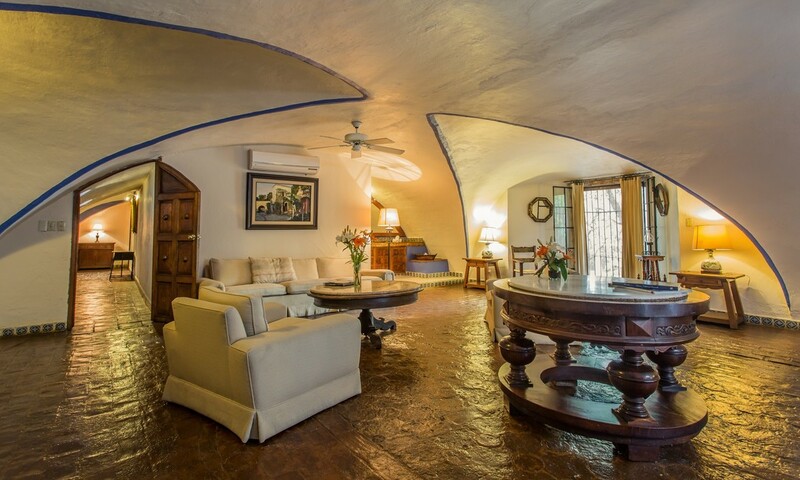 Underneath a sail vault, this suite comes with two double beds and a full tub in the bathroom. 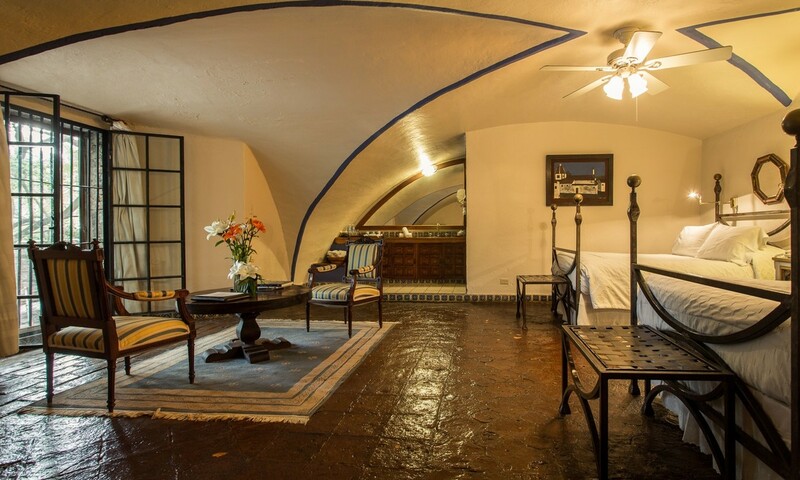 This room is located at the end of the main old Hacienda dining room. 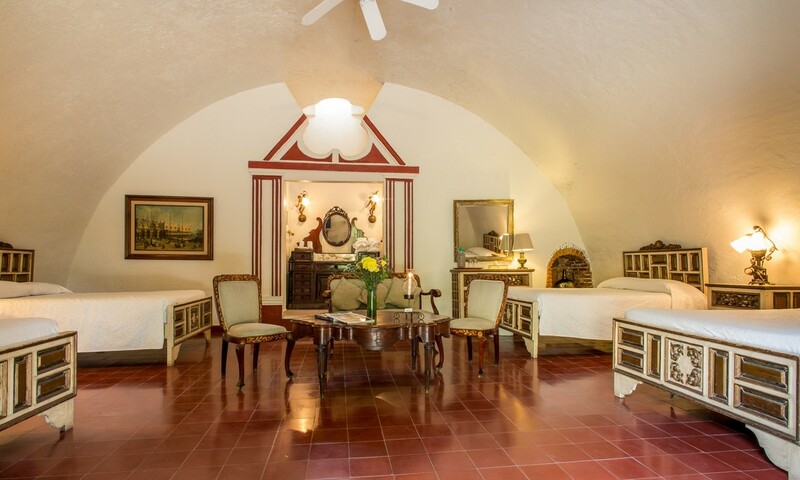 Under a real sail vault, unique colonial architecture, this suite comes with two full beds and a full bathtub. 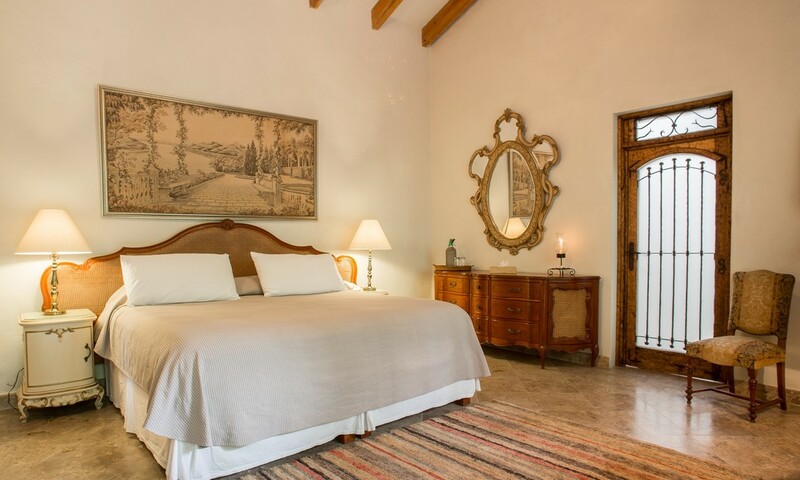 El Virrey (The Viceroy) has four full beds, bath and a discrete parlour at the centre of the room. This room is very comfortable for families or people with special needs, being located in the ground level of the main building. Feel free to ask us about caretakers that we may provide for you.